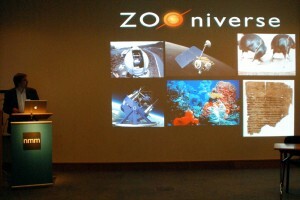 The Zooniverse was announced publicly at the National Maritime Museum on August 19, 2009. Next PostThe Zooniverse is Go. Ooooh – are we undergoing a period of inflation, or has this already taken place and it’s become so cool that light can at last get through?